The seasonal event is here and we have snow and holiday decorations everywhere! 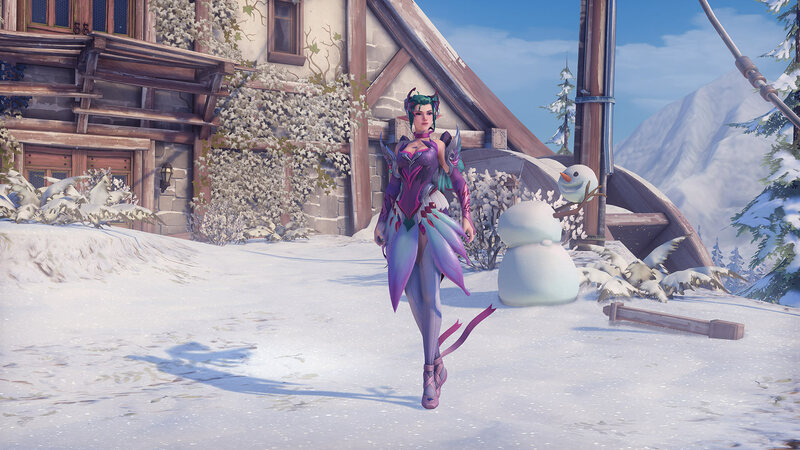 In addition to the usual new holiday cosmetics added we have Blizzard World, Black Forest, King's Row and Hanamura all decked out with holiday cheer, as well as the two modes from last year making a comeback. There's also a new Hammond Highlight Intro and Torbjorn and Genji emotes, in addition to the new skins! 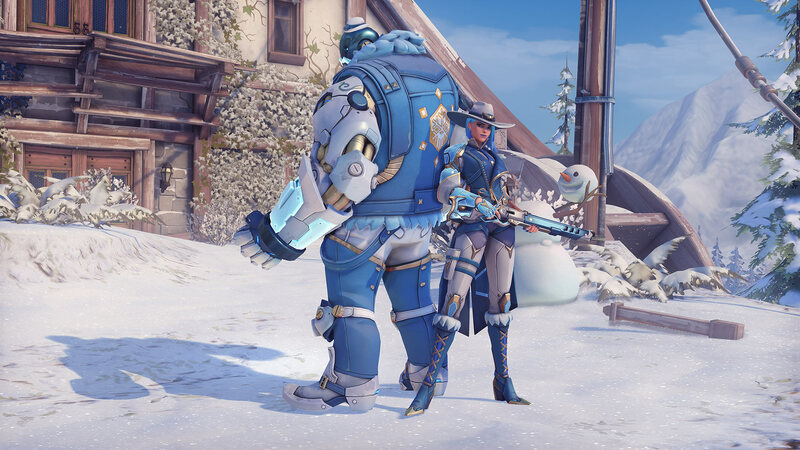 For the full patch notes, including major Brigitte and Doomfist changes, significant McCree and Torbjorn changes and a whole lot more, head on over here. 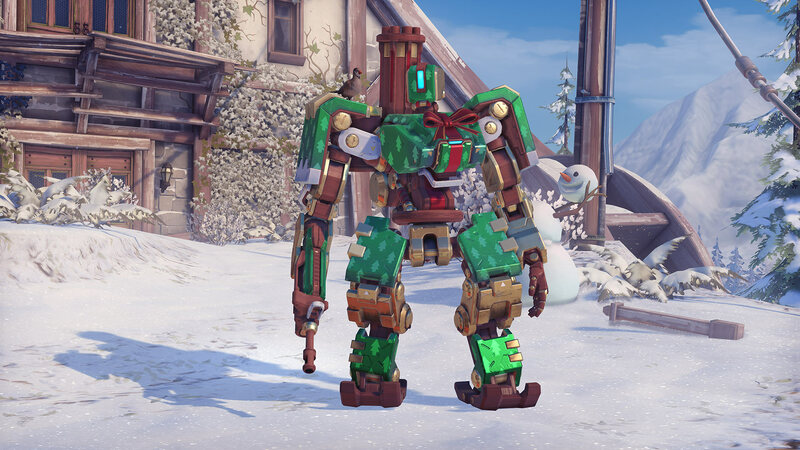 Of course, we have new presents for you to unwrap from our Winter Loot Boxes! 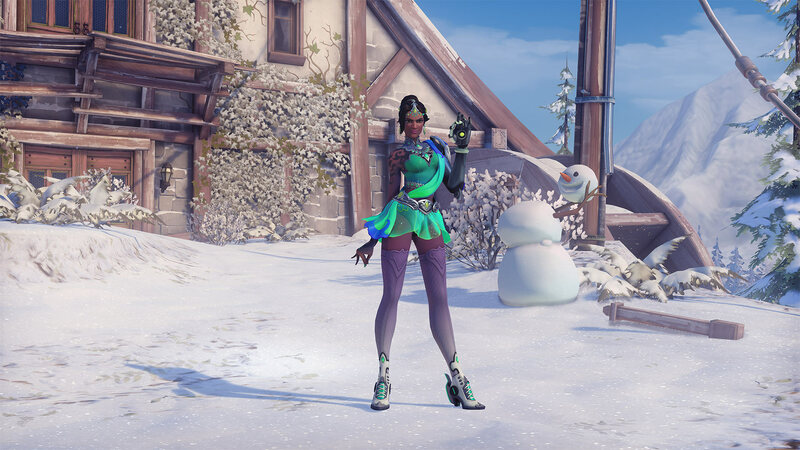 Unlock new seasonal items—including legendary skins like Krampus Junkrat, Sugar Plum Fairy Mercy, Figure Skater Symmetra, and more. Shine as the star of the match with Wrecking Ball’s Festive highlight intro, “awww” at Torbjörn’s My Babies emote, or deck the halls with Genji’s Paper Stars. And, in case you missed a Winter Wonderland item during last year’s event, we’re bringing them back at a discount! 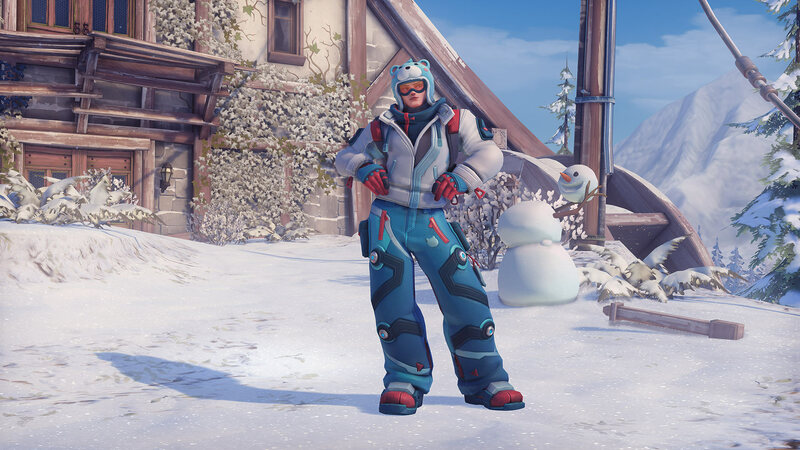 You can see a sample of what’s in this year’s Winter Loot Box below, or check out the full contents in-game in the Hero Gallery. This 6-player brawl sets five Meis against one Yeti player who uses Winston’s abilities. 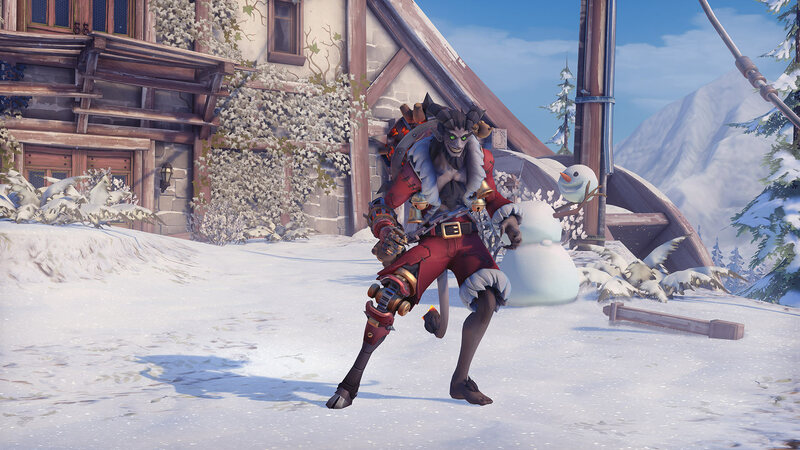 The Yeti must gather meat to unlock a powerful Primal Rage ability, making him immune to Mei’s freezing abilities and granting other more powerful bonuses to eliminate the hunters. Mei players have a new tool in their arsenal, too: a “Yeti Trap” ultimate ability to root their quarry in place. Yeti players must survive long enough to eliminate enemy Meis before they take him down. Which side will emerge victorious from the snow? In this brawl, Mei's Endothermic Blaster has been modified to fire a single, super-powered snowball. Taking down an enemy only requires one hit, but a miss can be costly. Once your weapon is empty search for the nearest snow pile to reload. 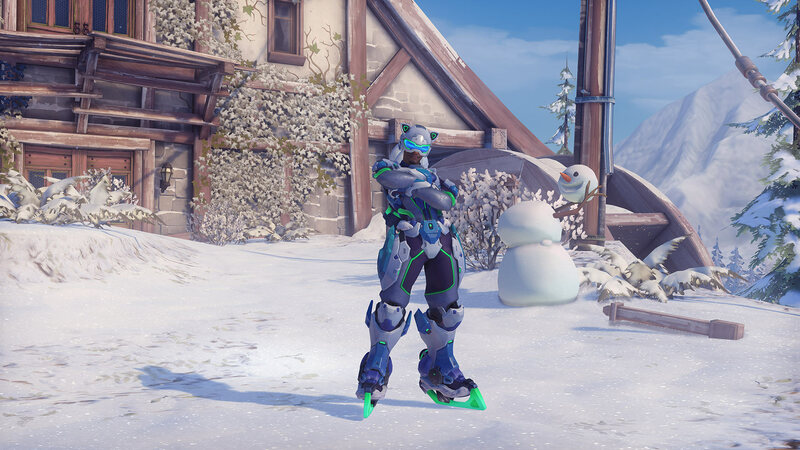 When the battle starts to heat up, you can activate Mei's Ultimate, which turns her blaster into an automatic snowball launcher, allowing you to fire continuously as your enemies scatter. 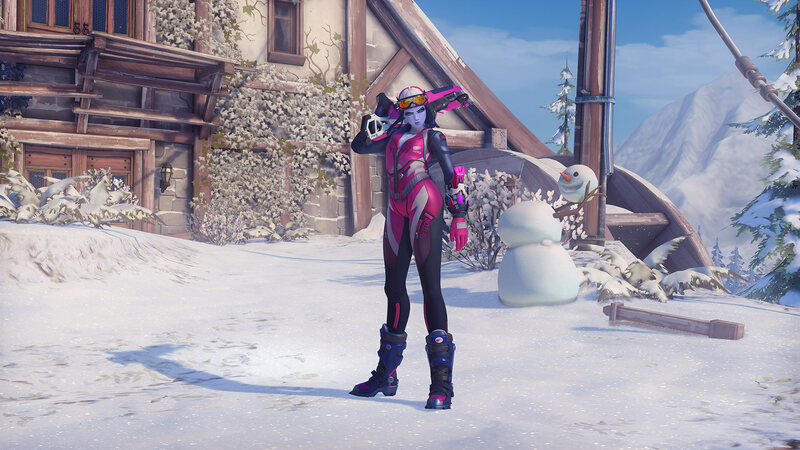 The new seasonal items can be found in Winter Loot Boxes filled with new skins, emotes, highlights, player icons, sprays, voice lines, and more. You can also purchase items you missed from last year's event with credits at a discount. 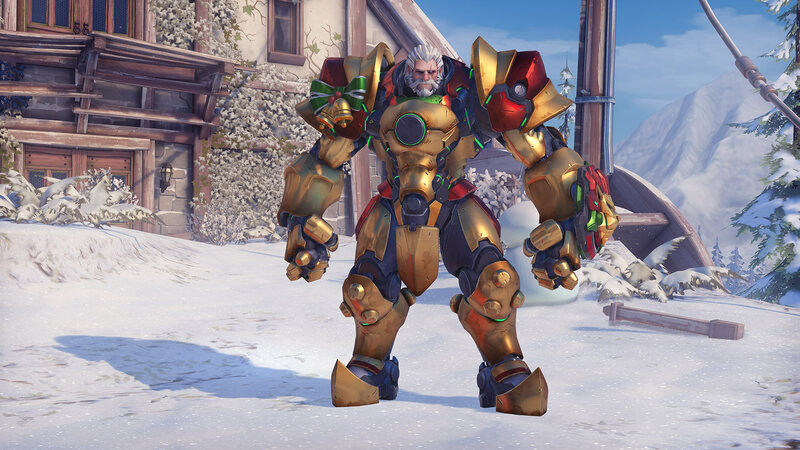 But don’t wait too long—these Loot Boxes will disappear faster than holiday desserts. And finally, here's the latest Hero with her first event skin! If you want to check out skins from the previous year or the highlight intros and emotes, head on over to the official event site. Two returning modes, a bunch of new cosmetics and 4 holiday-themed map reworks, as well as whole lot of stuff from past years are here!